The 4-metre-high illuminated display wall attracts attention from a distance, and a long table provides plenty of space for consultations. The booth introduces ProvenWinners® Europe. All important information is communicated on a plasma screen presentation. 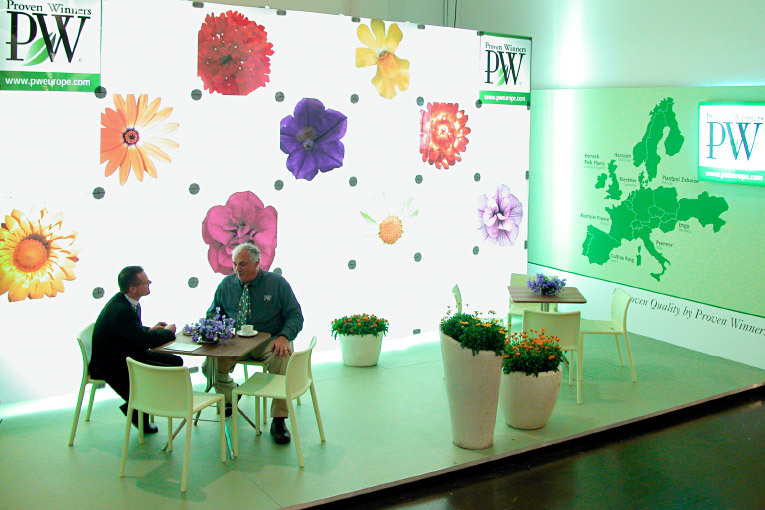 Attractive blow-ups of different types of flower create an eye-catching feature on a large-format slide projection wall at the otherwise all-green Proven Winners® stand.